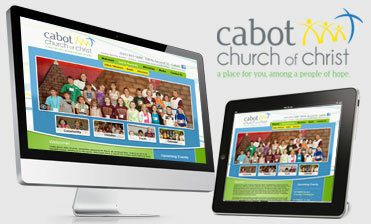 Click Here to View Our Website Portfolio! You only have a few seconds to capture the attention of your audience...make sure they're seeing something important. 2. Can you tell what the website is about? Again, you only have a few seconds to communicate your unique value, so be clear and compelling. 3. Is important information above the fold? Make sure your opt-in forms and Unique Selling Proposition are available without scrolling down. 4. Are the benefits highlighted? Your visitors want to quickly learn "what's in it for them." Spell out the benefits clearly on the homepage. 5. Are there a clear calls-to-action? If they like what they see, prospects need to know what to do next. It can be to buy now, start a free trial, or simply download a free report. 6. Are the colors and fonts distracting? Jarring colors, quick animation, and gaudy fonts can really be distracting. And if your visitors are distracted, they'll click away. 7. Do you feel personally connected? Consumers want to buy from people, not machines. Connect with your prospects by being honest, straightforward, and using a conversational style. 8. Are there links to social media? Many people want to do a little more research before buying. Linking to social media sites gives your potential customers another glimpse into your company (and perhaps a few testimonials from other customers). Once you determine a few areas where you can improve, develop a plan to start implementing changes. You don't have to do them all at once - just do a few at a time until you have a website that really converts. Did your website pass the test? If not, Contact Us Today to receive Special Savings only found here at Lercher Media Works.